Born in Durban, on 17 June 1929, Joseph Matthews was one of five children of Frieda and ZK Matthews, a professor, academic lawyer and anthropologist at the University College of Fort Hare. Matthews completed his primary education at Lovedale School in Alice, Eastern Cape, and then enrolled at St Peter's Secondary School in Rosettenville, Johannesburg, where he first became politically active. He joined the African National Congress Youth League (ANCYL) at St Peter's after its formation in 1944 and served as its branch chairman. He subsequently became chairman of the ANC Youth League in Rosettenville. Following his matriculation in 1947, Matthews attended the University College of Fort Hare and graduated in 1950 with a BA in English and History. During this time, he came into contact with Nelson Mandela and Mangosuthu Buthelezi. He became a close friend of the latter at whose wedding he served as best man. From 1948 Matthews chaired the ANC Youth League until 1950, when he became its national secretary under the presidency of Nelson Mandela . In 1951 Matthews married Regina Thelma Philips from Durban. After graduating, Matthews taught for a period at Newall School and in 1952 became active in the African National Congress's (ANC) Defiance Campaign and later the Congress of the People in 1955 which culminated in the drafting of the Freedom Charter. However, he was unable to attend the meeting in Kliptown as he was under banning orders issued in September 1953. The order included a ban on his teaching and he could not be quoted. In addition he could not attend a gathering of more than two people. During this period, he undertook political work underground. From 1954 to 1956, while he was banned, Matthews completed his LLB degree through London University as an external student. He then completed legal articles with JH Spilkin, attorneys in Port Elizabeth, from 1957 to 1958. Matthews and his father, Prof. ZK Matthews, were among 156 political activists arrested and charged with high treason on 5 December 1956. Most of those charged were released on bail and the trial began in 1958. Matthews and his father were among those acquitted in the marathon, four-and-a-half year trial. 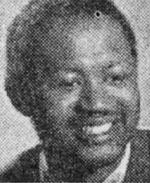 After passing the advocates' admission examination in 1957, Matthews became an attorney of the Supreme Court the following year, and practised in Durban up to 1960, before going into exile in Lesotho. In 1959, Matthews drafted a discussion paper for the ANC leadership in which he argued that the Bantu Self-Government Act of that year could be used to establish structures to promote political unity among Zulus in Natal. Matthews joined the South African Communist Party (SACP) in 1957 and served on its Central Committee from 1962 until 1970. However, he subsequently developed doubts as to whether the ideology could work in practice and became estranged from the Party. Following the 1960 anti-pass campaign that led to the Sharpeville Massacre and the subsequent banning of the ANC, a state of emergency was declared. During the emergency, Matthews was among some 1 800 political activists imprisoned without charge or trial. He was subsequently released. He then escaped to Lesotho, and his wife and family followed shortly afterwards. Other than flights via the then-Jan Smuts Airport (now the OR Tambo Airport), Johannesburg, Matthews did not set foot in the country again, until his return in 1991. Matthews was awarded his MA in History at the School of Oriental and African Studies at the University of London, in 1965, while serving as the ANC representative in its London office. He was also the first editor of the ANC journal, Sechaba, in 1996. In 1970 Matthews moved to Botswana where he became Assistant Secretary in the Office of Prime Minister, Sir Seretse Khama. In 1972 he was appointed Assistant Attorney General for Botswana, a post he held until 1976. At that time he played a low-key political role and helped the ANC to operate in Botswana. Matthews opened a private law practice in Gaborone in 1976 where he remained until 1984 when he returned to the United Kingdom. In the late 1980s he lived in Canada and the Netherlands where he wrote articles for papers and journals and undertook academic work. In March 1991 he privately applied to return to South Africa. He attended the ANC congress held in Durban in 1991 as a representative of the veterans. Matthews returned to South Africa in March 1991. He resumed his contacts with Chief Buthelezi and ANC colleagues. In December 1992, Matthews was appointed Chief Executive Officer of the Inkatha Freedom Party (IFP). In this capacity, he has served as spokesperson for the Party and attended the multi-party negotiations in April 1993 on its behalf. Matthews was second on the IFP's list for the National Assembly in the April 1994 general election and was elected to Parliament. In May he was appointed Deputy Minister of Safety and Security in the Government of National Unity, a post he held until after the 1999 elections. In 2004, Matthews retired from Parliament. After his retirement, Matthews lectured and did legal consultancy work. He was asked by former Intelligence Minister Ronnie Kasrils to review the Intelligence Services, producing a controversial report that urged the Intelligence agencies to find a balance between secrecy and transparency. Away from law and politics, Matthews enjoyed playing the piano, preferring classical music. He was widely travelled, and had written extensively for journals and other publications. His wife, Regina Thelma with whom he had seven children, passed away in 2002. Matthews passed away at the Milpark Hospital in Johannesburg, on 19 August 2010, from natural causes, at the age of 81.